NOTE: I have been a “collector” for as long as I can remember. It started during childhood in Hawaii with shells and stones and colorful military shoulder patches. Then I graduated to coins and swords from many cultures. Holding these objects was transportive. They let me feel connected with humanity as a whole. Chess was my favorite game as a boy. In high school, as I became more and more interested in art and design, I started to collect photographs of chess set designs from around the world and also started to design modern sets. I dreamed of writing a book. In 1967, my best chess set design was acquired by New York’s Museum of Modern Art for its permanent collection. 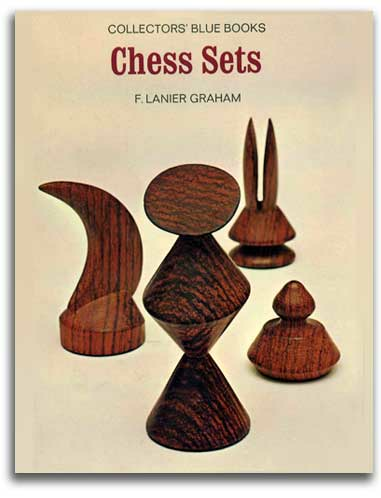 Then it was editioned as the “MoMA Chess Set.” Those exciting events inspired me to finally write my first book. Helping me was my hero, Marcel Duchamp, to whom the book (with his permission) was dedicated. The reviews were quite positive. 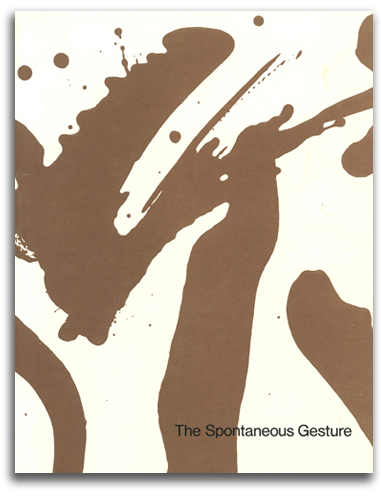 Several critics (then & now) have called this little book a “small classic.” The last chapter was recently published again (in facsimile) by the Noguchi Museum. 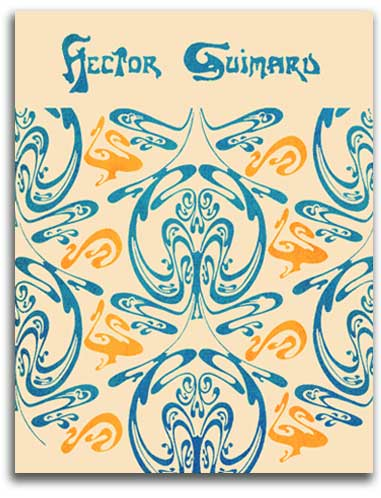 NOTE: This HECTOR GUIMARD catalogue was published by New York’s Museum of Modern Art on the occasion of an exhibition of the same name. The show began in New York in March of 1970, then traveled to San Francisco, Toronto, and Paris. It was very successful. At MoMA the show set new records for attendance and publicity. The New York Times, for example, did four stories on the show. This was the first retrospective of France’s most important Art Nouveau architect-designer. He is best known for his Metro entrances that have been Paris landmarks since 1900. The organic vibrancy of his style (a style which Graham termed “Abstract Naturalism”) inspired generations of artists from young Picasso to the Surrealists. The dynamic energy of Guimard’s fluid spontaneity was not matched until the Abstract Expressionists. Graham’s catalogue was the first general survey of Guimard’s work. Many Guimard books would follow as the fame of this neglected genius grew rapidly. The French who had been destroying his structures to make way for parking lots, etc., started to preserve his works by declaring them monuments historiques. The Director of the Legion of Honor museum in San Francisco liked the exhibition and the book so much that he hired Graham to be his Chief Curator. NOTE: While I was using about half our acquisition funds to enrich the French collection at the Legion, I was using the other half to enrich the American collection at the de Young. That side of the story had an added dimension because looking over my shoulder was John D. Rockefeller 3rd. After completing his Asian collection and donating it to the Asia Society, he had assembled the world’s finest collection of 18th, 19th, & early 20th century American painting. He had been given first refusal on Church’s “Rainy Season in the Tropics” by the dealer, Stuart Feld. However, he thought it was too large for their apartment. When in 1970 he learned that it had been purchased for San Francisco (at my recommendation), he called. I was Acting Director that day, so the call came to me. Mr. Rockefeller started by saying he had heard nice things about me from his wife (who was President of New York’s Museum of Modern Art when I worked there), then asked three pointed questions. First question: “I know it is a great painting, but the dealer was asking a world-record price. Why did you buy it?” I said because, in my opinion, there is no finer example of the Hudson River School, which is the supreme achievement of American landscape painting. And landscape painting of this quality is one of the greatest contributions the United State has made to World Art. The closest comparison is the great gift China made to World Art in the form of the profound landscape scrolls that crystallized during the Sung Dynasty. “Rainy Season,” I continued, radiates the finest values of the American spirit – solid realism and clarity of vision blended with unlimited hopefulness, and transcendent spirituality. It will inspire visitors for generations. Second question: “Does this mean you have a major interest in American painting?” “Yes,” I replied. “It does.” I was able to tell him that I was writing a book that would place the San Francisco collection into the wider context of American painting as a whole. And that the first major project of our new collection program was going to be a special exhibition of American paintings. I was going to put the best of the American paintings from the de Young collection and the Legion collection together. I reported that earlier curators in both museums had done a good job in this area. But by combining the two collections, the whole will be greater than the parts. It looked to me like we had the best pre-modern American group on the West Coast. Several months later, Mr. Rockefeller and his curator, E. P. Richardson, came to see the show. They were impressed with the depth and breadth of the American collection. In the last gallery, the four of us spent a long quiet time in front of “Rainy Season in the Tropics” which remains the most visited painting in the American collection. The silence was a reverence. 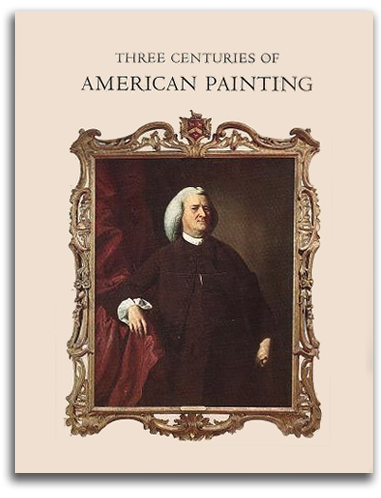 As we walked back through the show, very nice things were said about the book I wrote to go with this exhibition, THREE CENTURIES OF AMERICAN PAINTINGS. In short, our secret negotiation for his collection was off to a good start. That negotiation would continue for years, with almost all of the personal conversations and letters being the skillful work of Ian White. My job as Chief Curator was to supervise the museum’s collections & exhibitions programs as a whole, as well as manage the publications program. Ian and I continued to meet with Rockefeller and Richardson from time to time, either in San Francisco or New York. Both were watching our collection program, our exhibition program, and our education program very closely. As the years went by, the talk became more and more friendly. Ian continued his increasingly warm personal relationship with Mr. Rockefeller, mostly by long distance. Ian’s charm and deep dedication to American art were going a long way toward cementing the deal. He only called me in when it was time for an actual meeting with Mr. Rockefeller or time to plan for a meeting. By the time of the Bicentennial Year, Mr. Rockefeller had expanded his circle of trust to include the Board Chairman, first Ransom Cook, and then Walter Newman. To make a long story short, the bicentennial exhibition took place under the brilliant curatorship of Wanda Corn, and the book appeared on schedule. It was the last book I edited for FAMSF. After that, the show and the book went on to the Whitney Museum of American Art in New York. The Rockefellers were very pleased with everything – the exhibition, the educational programs that Wanda and I had developed around the exhibition, and Ted Richardson’s catalogue that I had edited. That book was my farewell to Mr. Rockefeller and to FAMSF. I resigned shortly thereafter. Mr. Rockefeller was especially pleased when the new American Galleries at the de Young opened on the 4th of July 1977. (At the dinner that celebrated the new galleries, I appreciated the kind words Ian spoke about my role in developing the American Collection and generating the Rockefeller Exhibition.) Mr. Rockefeller had seen all he needed to see. The public announcement of the decision to donate the collection to San Francisco was made by Mr. Rockefeller in 1978 with Dianne Feinstein and Mayor Moscone beside him. With the arrival of the collection in 1979, the Fine Arts Museums of San Francisco started to become a world-class museum. NOTE: In 1970 FLG was invited to be Chief Curator of the California Palace of the Legion of Honor in San Francisco, in large part because he was a respected historian of French art. This museum, a memorial to the California soldiers who died in World War I, has housed fine art since 1924. Marshal Foch attended the groundbreaking ceremony. The building is a replica of the 18th century Hotel de Salm. In 1804 Napoleon made the Hotel de Salm the headquarters of the newly established Légion d’Honneur. The French building and the American building share a special history. President Charles de Gaulle visited the CPLH in 1960. President Georges Pompidou visited the CPLH in 1970. FLG also was appointed Vice Director, and Curator-in-Charge of Paintings & Sculpture, when that museum and the de Young Museum merged to become the Fine Arts Museums of San Francisco. Many of Graham’s efforts were designed to enrich the French traditions of the CPLH. He designed a masterplan for the merging city museums that made the California Palace of the Legion of Honor the only museum in the U.S. dedicated exclusively to French art. Graham used endowment funds to acquire masterpieces for each of the new chronological galleries: An Ecole de Fontainbleau “Venus & Cupid” for the new Renaissance Gallery, a Vouet for the new Baroque Gallery, a remarkable Monet “Water Lilies” for the new Impressionist Gallery. And finally a beautiful cast of Maillol’s “l’lle de France.” This acquisition extended into the 20th century the museum’s famous collection of French sculpture. At the heart of this collection are major pieces by Rodin, all from the master’s hand. Many museums have posthumous Rodin casts. All the San Francisco pieces by Rodin (bronze, marble, or plaster) are original. They were acquired directly from Rodin through the agency of Loie Fuller. 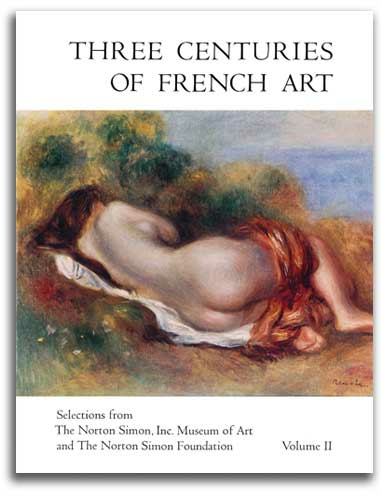 In 1973 FLG negotiated & curated “Three Centuries of French Art from the Norton Simon Collections” at the CPLH. 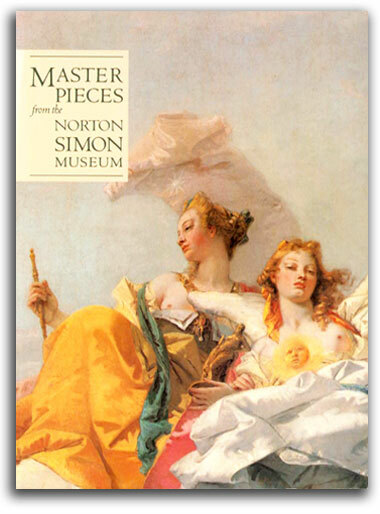 Mr. Simon was a major collector of French art. His auction purchase of a Renoir for $1.5 million (U.S.) in 1968 is often considered the start of the contemporary million-dollar art market. The CPLH show was the first public presentation of the best-known part of Simon’s celebrated collection. The exhibition was widely considered one of the most important of the time. The show and Graham’s scholarly catalogue were very well received nationally and internationally. 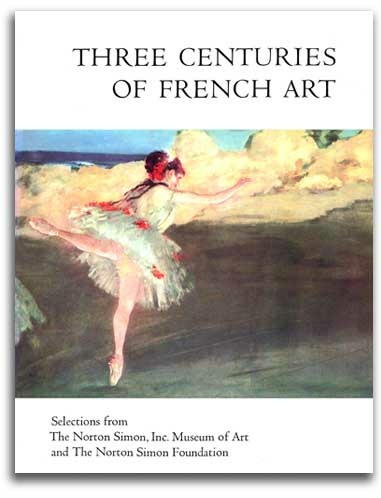 It was particularly admired by Michel Laclotte, Director of the Louvre, who was assisting in many ways the CPLH, “America’s French Museum.” Locally, Graham’s catalogue was used at California State University, Hayward, to teach the history of French art. In 1974 “America’s French museum” celebrated its 50th Anniversary with many ceremonies. In attendance were senior dignitaries from the Ordre national de la Légion d’honneur. At the heart of the 1974 exhibition program were Monet paintings (centering of the newly acquired “Water Lilies”), French Impressionist paintings from the collection of Mrs. Florence Gould (negotiated & curated by FLG), and "Treasures from the French National Museum of the Legion of Honor" (negotiated & curated by FLG) with an Introduction by Mme. C. Ducourtial-Rey, Director of the National Museum of the Legion of Honor, who lent many masterpieces from that museum for the 50th Anniversary of its “sister” institution. The exhibition was opened by Admiral Georges Cabanier, Grand Chancellor of Ordre national de la Légion d’honneur. By 1974, most of the new “totally French” galleries of the Legion had been completed. Funding from a private donor enable us to remodel the whole North Wing of the building in time for the 50th anniversary. I laid out an historical sequence for the building as a whole. The chronology began in the Medieval Galleries with tapestries and sculpture, installed under the curatorial eye of Graeme Keith and Anna Bennett. I integrated the best of the French paintings in the Legion collection and the best of the French paintings from the de Young collection into a new Renaissance Gallery, and a new Baroque Gallery (Poussin, Le Nain, et al.). Decorative Arts from each era enriched the spaces with aspects of daily life. Moreover, I selected new masterpieces for purchase that would cap the experience in each of those galleries. Ian redesigned the three sculpture galleries with brilliant lighting so the Rodin collection could sparkle. Little needed to be added to the Rococo collection or the early 19th century collection, as those had been the center of collecting in both museums for decades. What was needed was a large climactic painting for the last gallery, large enough to hold the grand axis of the entire South Wing. Our acquisitions policy ended with Impressionism. So, my mind naturally turned to Monet. He was the first and the last great Impressionist. He had the greatest influence on 20th century painting. And he has a deeper impact on modern people than any other Impressionist. For two years, I made it a point in my travels to look at every Monet that was for sale in New York, Paris, and London. To be sure whatever we acquired would be the master at his best, I visited the Monet murals in the Orangerie of Paris between each visit to the dealers and the museums. The point was to stay in touch with Monet’s greatest work. Those timeless hours in the Orangerie were moments of ecstatic meditation. I finally found a large painting of “Water Lilies” that matched the transcendent spirit of Monet’s most famous paintings. Ian agreed, and the Acquisitions Committee agreed (even though the price was quite high). So we bought it and built around it a special Anniversary exhibition of all the Monet paintings in California. 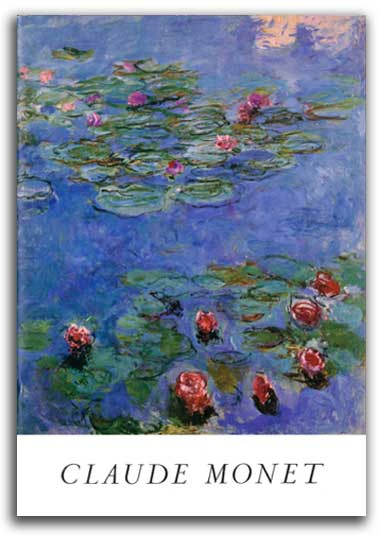 This “Water Lilies” has become one of the best known of Monet’s paintings, and remains the most visited painting at the Legion. 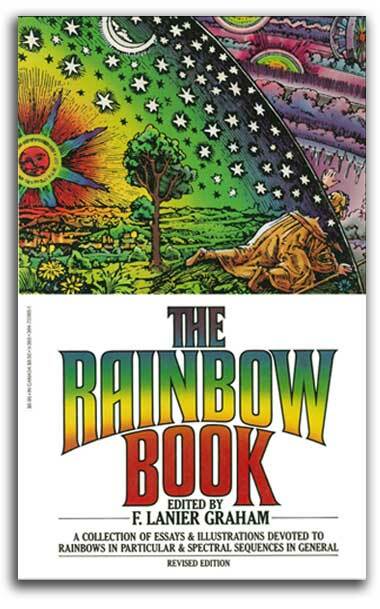 NOTE: This book is a concise encyclopedia of color in general, and rainbows in particular, from the perspectives of art, physics, and metaphysics. 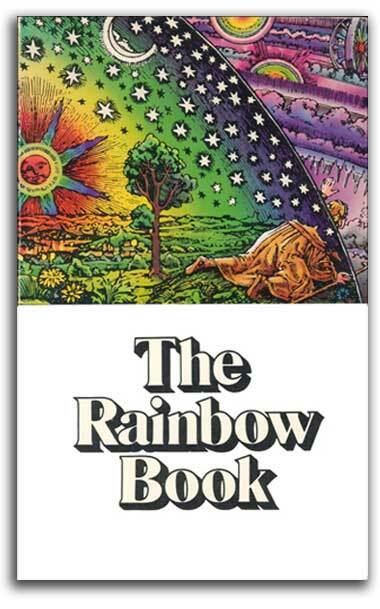 It was published on the occasion of an exhibition called THE RAINBOW SHOW which took place simultaneously at both art and science museums in the San Francisco Bay Area. It was intended for a wide audience. The editorial plan presents the information in each chapter at three increasing levels of complexity: for children, for adults, and for serious students of color symbolism and color theory. 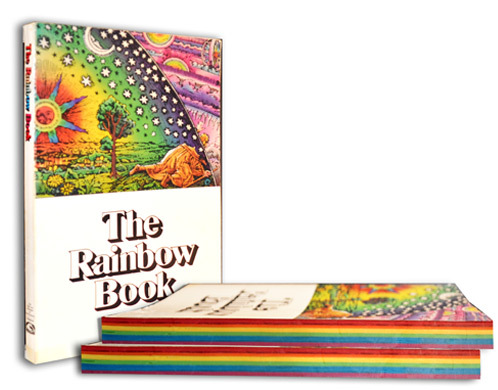 Each chapter is printed on paper of a different color so one holds an actual “rainbow.” The price was quite small, $7.95. It was extremely successful. Over 100,000 copies were sold in the three editions of 1975, 1976, & 1979. After I conceived the book, my role was to edit the words, design the pages and the covers, and contribute several short essays. I worked closely with two Associate Editors: Mark Burstein and Larry “Sunshine” Wurn. They also were co-curators of the exhibition. For the presentation of science topics, my primary advisor was Frank Oppenheimer, Director of the Exploratorium. For the presentation of the metaphysics of the traditional Wisdom Paths, I was guided by contemporary teachers from the World Religions. The process was for me to select a passage from the literature of each spiritual tradition and then request approval from a widely respected teacher of each tradition. I knew what they would say about the color of auras would be considered very bizarre. Burstein suggested the subject be avoided. However, without some information about the traditional sacred symbolism of color it is not possible to have even a basic understanding of much of the iconography of Asian Art. So a minimal amount of information was included in the show and in the book. When necessary, I also commissioned essays. Particularly welcome words were contributed by Lama Govinda and Frank Oppenheimer. My original plan was for the book to be published by FAMSF. However, several months before the show, I was contacted by the head of Shambhala Publications. Trungpa Rinpoche had suggested that he might want to publish the book. The copyright was held by the Institute for Aesthetic Development, the organization I had recently established in order to generate innovative productions such as this book. So I could make the decision. The first & second editions of 1975 & 1976 ended up being joint publications of Shambhala & FAMSF. The revised edition of 1979 I sold to Vintage/Random House. Alas, it was no longer possible to locate spectral paper anywhere, so the final edition was a black+white edition (unfortunate but a bit easier to read). NOTE: This book was published on the occasion of an exhibition by the same name at the Australian National Gallery (now the National Gallery of Australia) in Canberra. Abstract Expressionism had been a special interest of mine since I first was overwhelmed by Pollock paintings in the late ‘50s, and even more so as I got to know de Kooning, Motherwell, and Newman in the ‘60s. When I became Curator of Prints & Illustrated Books in Canberra in 1984 (on a four-year contract), I was struck by the extent to which Pollock’s “Blue Poles” (once a hated painting in Australia) had become a “national treasure.” I decided it would be useful for the country, long-term, to build around this monument and expand the graphics collection to include a representative selection of prints & books from the Abstract Expressionist era, and to write a book about this neglected field. I spent the better part of three years acquiring a large collection for the museum and writing the book as I went along, and then presented both of them together in 1987. The show and the book were well received in Australia, the United States, and Europe – both for being a good “first survey” of a little known chapter in the late history of Modernism, and for providing a balanced view of parallel developments in the U.S. and Western Europe. The book, based largely on the exhibition, remains a standard reference. The cover of this book is a detail I selected from a lithograph by Lee Krasner. At the end of that tour-of-duty, Norton Simon invited me to come back to California as Curator of his new museum in Pasadena. I had been his consultant during the ‘70s. Now he wanted me to be with him full-time. Returning to California and starting WORLD ART PRESS marked the beginning of the second half of my career.